The driving force behind the entire Top Rider operation is a true passion and love for motorcycling. Therefore, when you complete a course with Top Rider, you are receiving education and training genuinely designed to provide you with a safer and more enjoyable riding experience, regardless of your skill level or genre of motorcycling! We have a program for everyone; novice, intermediate, advanced and elite riders. Bernie Hatton established Top Rider in 1985 on the Gold Coast, creating Queensland’s first true motorcycle school! Frustrated by the lack of skills taught to new riders by the driving school industry, who offer car, truck and motorcycle licencing; Bernie decided to create a motorcycle school as he knew there was a better way for motorcyclists to learn how to ride and obtain a motorbike licence. Armed with 3 generations of motorcycle, mechanical and sporting knowledge and experience, Bernie set out to establish the most extensive rider training package that was well before its time. Regardless of riders current skill level, genre of motorcycle sport, gender or age; Top Riders program was built to help students become the best motorcycle rider. Top Rider established Australia’s first Junior Road Race Program. The program was an extension of the famous dirt track training that Bernie provided at the infamous Mike Hatchers club, the same club that Casey stoner did his apprenticeship. Bernie started training a very young Anthony West in the art of road racing using a Morriwaki 80 motorcycle imported by Tony Hatton. Bernie took Australian junior riders Chris Vuemulen and Anthony west for their first ever road race to Japan, to race in the Japanese Bronze Cup; where Chris finished 17th and Anthony West finished in 5th place. Anthony returned with Bernie to Suzuka to race the Bronze Cup where he won his first road race! Top Riders Road Race Schools, Moriwaki Race Series and Superbike Lites along with Bernie Hatton’s coaching techniques, have proven to be a great success; with over 200 state, national and international titles won! They have produced riders like, Anthony West, Chris Veumulen, Brock Parkes, Jamie Stauffer, Judd Greedy, Gareth Jones, Craig Coxhill, Brendon Clarke, Russell Holland, Mark Athichison, Josh Brookes, Wayne Maxwell, Blake Leigh Smith and many more! 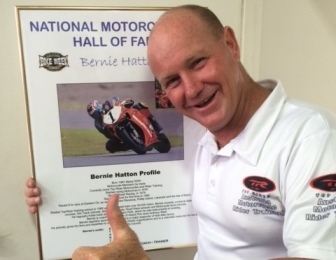 Top Rider Australia’s, Bernie Hatton, was inducted into the National Motorcycle Hall of Fame at the 7th annual bike week held in 2005! Bernie was inducted for his commitment to road safety programs, Top Rider courses, voluntary work for charity, the Queensland Road Safety Council, Superbike Lite Championships, his coaching success with Ant West and the recognition of Top Riders START (Speed for Tracks And Road Transport) program. 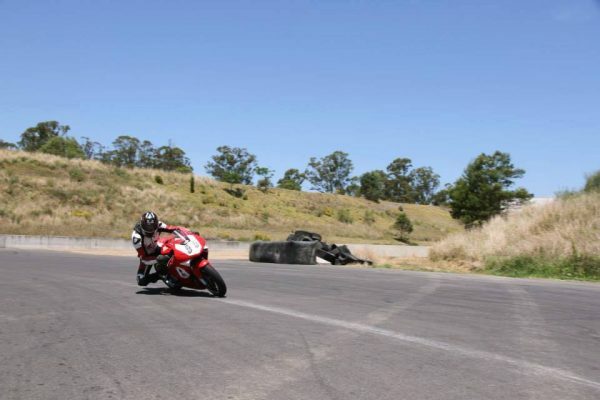 Deliver on-road and off-road Advanced Motorcycle Training courses throughout Australia! The Top Rider team were selected for the set-up of all drills in Ultimate Rider series 1, along with the coaching the series motorcycle stars. Top Riders Bernie Hatton stared alongside Daryl Beattie, world 500 grand prix rider, as the series judge, coach and technical adviser. We Celebrated 30 Years Of Motorcycle Training! Top Rider turned 30!! We celebrated 30 years of motorcycle training, coaching and mentoring! Over the last 30 years Top Rider trained over 120,000 people throughout Australia. Top Rider ran a training program in Kuala Lumpur Malaysia with My Ride. 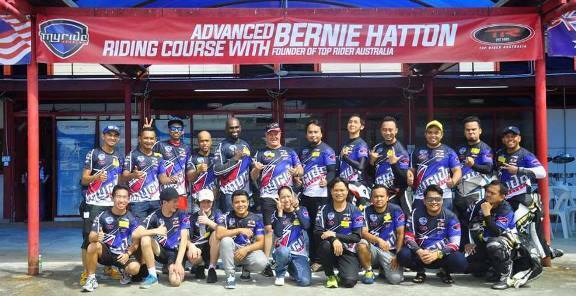 An Advanced Rider training program was available for locals, featuring Malaysia rider Hafiq Azumi; who Bernie became great friends with. The relationship grew with Hafiq where he returned to world championship racing after a 2 year lay of, finishing a credible 11th place in the Malaysian round of the World Championship. The Australian Federal police undergo Top Riders Motorcycle Instructor course! 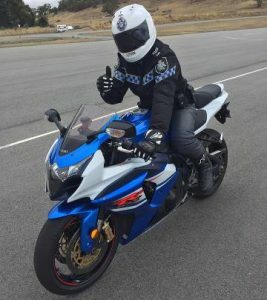 They spent two weeks face to face with Bernie Hatton in Canberra where he delivered the world’s best training methods to the federal police motorcycle riders. Australia’s Number One Motorcycle School! We are a now currently a well-respected and well recognised motorcycle training organisation. We are always continuing to further develop our courses and create new training programs so that we can offer world-class training to our students! Top Rider’s team are the most experienced and well-respected in the industry. Their custom built training programs are world-class. 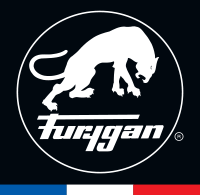 They have a deep understanding of industry benchmarks and an unparalleled intuition for gauging rider competence. You won’t be thrown into a training program under the supervision of a trainer and assessor who really couldn’t care about your progression. For the novice rider, Top Rider offer world class learn to ride programs. Where many training and QRide providers rush learner riders through the training process, we provide custom-built pathways with the necessary practical experience to ensure riders are competent to take the roads. For intermediate and advanced riders, Top Rider provide world class advanced level courses. Access to the world’s most experienced trainers help riders take their abilities far beyond what they ever thought possible. Top Riders aim is to leave every student, no matter their knowledge or experience level, with a revelation from their course; something they think of each time they go for a ride. Not content with just training riders how to ride a motorcycle comfortably and safely, our courses ensure even the most novice students are equipped with the skills and knowledge of an experienced rider. Led by Australia’s Top Advanced Rider Trainer, Bernie Hatton, Top Rider Australia benefits from 32+ years of rider training experience. All of the trainers and team at Top Rider Australia harness Bernie’s approach, experience and knowledge when training their students. Whether you’ve never ridden a motorcycle, haven’t been on a bike in a few years, or are a weekly rider or a seasoned motorcycle enthusiast, Bernie and his team welcome you to one of our courses. I have been fortunate to have done a 3 hour refresher course, a SMART ride course and, last Friday, the level one advanced course with Top Rider. I have benefitted greatly from these and feel more competent and safer on the road. The instructors I have met are friendly, give continual encouragement and are very good at what they do. Bernie goes out of his way to be helpful. Don’t wait – increase your skill level! 3 months ago I had two wonderful days with these guys getting my L’s. Today had an even better day getting my RE. See you in two years for the R and maybe a track day or two in between. I love these guys so much! They have helped my wife and I to take our riding to the next level and beyond. I have done CSS levels 1 through 3 and I learnt more from Bernie walking the track on a Coach and Setup day than I did on all 3 levels of CSS. I have had the opportunity to meet and ride with Australian professional racers who have ridden internationally, all of which had been coached by the amazing coaching staff at Top Rider. If you’re looking for a great place to go to learn and improve your skills on a bike look no further than these guys. 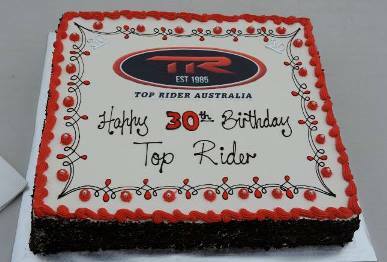 I just want to say a huge THANK YOU to the entire team at Top Rider Australia – Gold Coast. The instructors are top notch professionals and spent the extra time to make sure I had the proper skills and technique so that I was a safe and competent rider out on the roads. I now enjoy safe riding everyday as a result of their patience and training. Their expert advice and training will stick with me always. Thanks guys (and gals) you’re awesome! Dear Top Rider, On Friday 3rd July my Fiancé & I & 2 boys took the all day dirt biking course with Ow-eee. We just wanted to send a big Thank You it was a fantastic day and we all were so happy with what we got out of it. We would most importantly like to give a BIG SHOUT out to Ow-eeee our instructor. He was fantastic and so great with the boys. Great asset you have there. We would love to get in touch with him if you have his email to say Thanks and as he also took lots of pictures. Look forward to hearing. Kindest.